Dave is from Mirfield, England. He is predominently an acoustic guitar player, recording and playing live with his local bands Bouski and recording with Strangefates. He also broadcasts live band and solo shows across the globe on the internet with a modest but dedicated following of listeners. Dave's early years were focussed on recording and performing with 'The Molecules' which was founded in 1982 with his brother Rob. The band performed instrumentals based on sequences of strong guitar riffs, with ambient backgrounds, and the unusual but real Silent Vocalist Johnny Nightingale. The tongue in cheek nature of the band led to striking album cover graphics, loosely related to science fiction, and general wierdness. The music is strong compositionally, and continues to receive critical acclaim. Occasionally the band meets to work on new projects. The most recent album is Silent Ghosts, linked to a long awaited 3d animation, created by Rob. The Molecules live band phased out touring in the late 1980s. Dave and Rob turned soley to recording. Ultimately they became cartoon characters through Rob's graphic website and 3d animations that the brothers were experimenting with at the time. This led international audiences to believe that the band did not really exist. However, the Molecules produced many studio albums as well as compilations and continue to do so. The Molecules back catalogue is available under the original band name as well as 'Strangefates. Dave now runs Dolphin Daydream and Strangefates Music Studios in Chester UK. He occasionally broadcasts live solo guitar performances through internet radio using Shoutcast based software, such as SAM, and supports other musicians and DJays to access the same broadcasting technique. In 2007 Dave had read that a number of celebreties were appearing in virtual worlds and actually performing live shows. He therefore took the Molecules music into the virtual world Secondlife. This led to development of live jamming with other musicians across the globe, and securing a platform to broadcast live whilst interacting with the audience directly. 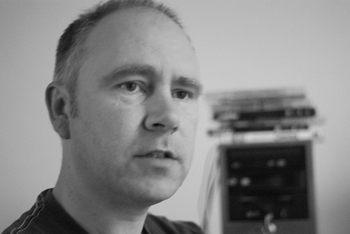 The virtual world platform allowed Dave to develop 3d design, resulting in Pixel Hill, a virtual region dedicated to live and original music where people can literally walk through and explore and interact with the landscape, and multi-media as well as other people. Within Pixel HIll, the Jester venue was developed, which has had over a hundred original music performers play live. This venue has become very popular with performers and music lovers due to its design and intimate atmosphere. The venue and music promotion is managed by Harrie Skjellerup who has become legendary in her own right for promoting original live music, and supporting new artists to find their feet on the internet. The Molecules music has been most recently performed under the Strangefates banner. Rob and Dave's first entrance into music was the launch of mock-band "Didier Strange and the Galactic Quest" . In the seventies, punk had exploded onto the scene: the brothers were young and desperate to start a band, but had a serious drawback in that they had no real instruments. A melodica, Chair legs, one string guitars, biscuit tins and water poured into a bucket were the only sounds they had at the beginning. random sequences have been recovered from the vaults. They are due to be released on a limited edition wax cylinder and on a CD entitled "Batteries Not Included". Dave worked overtime trying to produce the ultimate electronic sound sequence, and to this day still believes he did. Unfortunately the frequencies used in his last recordings could only be heard by animals with highly sensitive ears such as bats, cats and gerbils. The project was disbanded when Dave's own batteries finally went flat. Using some of the salvaged tapes from his machines, Dave worked with Rob to put out a band tape before the local school punk bands did. To give it a more mainstream flavour, they secretly recorded their friend Cosmo Hodson practicing drums and mixed it into their tracks, (despite Cosmo having just started out playing drums the day before). The result was "Project Skiffle" by the Galactic Quest. This project took at least two nights to put together. The album was launched at Mirfield High School on the sixth form stereo during break times. Students and teachers alike were heard to say "What the #### was that?" and the album instantly became a classic. The brothers finally discovered electric guitars and Rob bought one from a Kays Catalogue for 80 pounds, only to find that when it was delivered the neck was bolted on upside down.Dave was slightly more lucky and ordered a guitar from Japan because it was a nice green colour. The brothers then sacked Cosmo Hodgson and replaced him with a cheap drum machine bought from Music Ground in Leeds (one of Dave's favorite shops). Rob: "Cosmo had a moustache and it didn't go with the Band Image." Cosmo: "I was devastated, and ended up leading a life of crime solving." The Molecules were officially formed and they released their first double b-side single: Haunted House Blues / The Martians are Invading. The former track being the only instance where vocals had been used (although they were speeded up and processed through a dalek simulator). 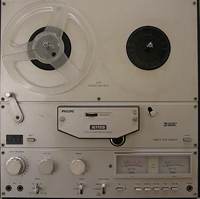 The process of bouncing tracks between tape machines was developed further. As the equipment progressed from analogue to digital recording , Dave discovered the revolutionary HI-LO-HI-FI production technique. This together with collaborations with The ex Carpet Salesman Ryan Beno helped Dave establish a reputation for innovative sound production. Together with ex-Folk Singer and part-time Belgian Monk Johnny Nightingale, they developed a process to record sound in a vacuum so they could hear what true Space Rock should really sound like. Dave also discovered that recording sound in a vacuum generated a Maximum Ear Wiggle Effect phenomenon and wrote a paper on this at Sheffield University on the back of a beer mat. The Molecules developed an international cult following via Rob's Invisible Ray Website (now replaced by johnny rem.com) where their music was given away free as mp3 files. The Molecules have seven critically acclaimed studio albums that are currently in circulation throughout the world. These albums are also available under the Strangefates label. Dave is now collaborating with Rob on a massive Strangefates video project with the working title 'Digital Diva' to to be completed in 2008. There are plans to resurrect the earlier band recordings going back to 1980 due to requests from Molecules officianados. Dave is currently digging through the archives to find choice recordings. Dave continues to work with the Molecules in Real Life, Strangefates in Secondlife and has formed the alter-ego band Bouski together with Drummer And.D and Vocalist / Band Hairdresser Chris Thomas. In 2009 Bouski completed an EP called Absolut. This coincided with live performances in Secondlife. Dave's virtual world character, Didier Soyuz was originally developed as a Manga character, which ultimately morphed into a bloke with a spikey black wig. It bears no resemblance to Dave in real life, but has become a somewhat established avatar to the extent that he cannot be killed off. The Didier trademark of a dragonfly man is also an established image, and was created by Dave's brother Rob within the Lightwave program as part of a massive 3D animation project . A clip of the project called "Moebius Strip" provides a preview. Dave performed regular live shows via the internet (using streaming techmology) from 2008 under the label Didier Soyuz, as well as writing music for other artists across the world. An avatar was produced via a vitual world Secondlife. This was originally Manga-style character, which was transformed into the current image with help from his friends after it frightened too many people in Secondlife due to the green tint of the skin. Didier's regular venue within Secondlife is at Pixelhill, which has become a well known and popular base from which live music from original artists is streamed. 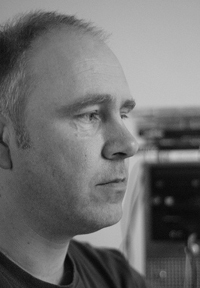 Pixel Hill is hosted by the fantastically talented promoter Harrie Skjellerup. 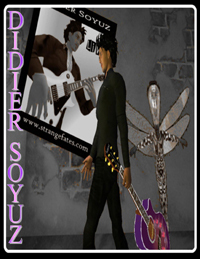 To view all available music, see the discography page here. 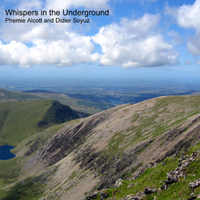 Didier's virtual world experiences are chronicled in depth here.